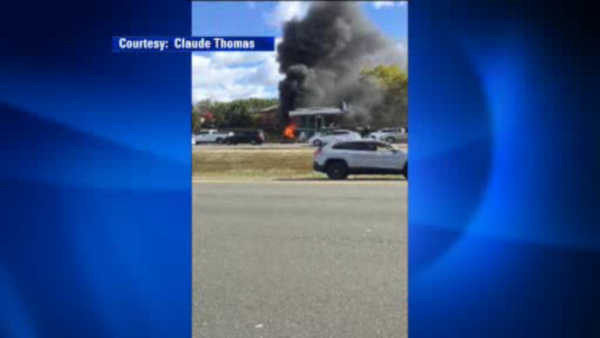 PARAMUS -- New Jersey state police say a driver was killed when a car rolled over and burst into flames near a toll plaza on the Garden State Parkway. But it's not yet known what caused the crash, which occurred around 11:45 a.m. Sunday in the northbound lanes at exit 165 in Paramus. Authorities say it appears that the driver was the only person in the car. But further details on the victim were not available. The crash caused some major travel delays in the area as authorities investigated the accident.